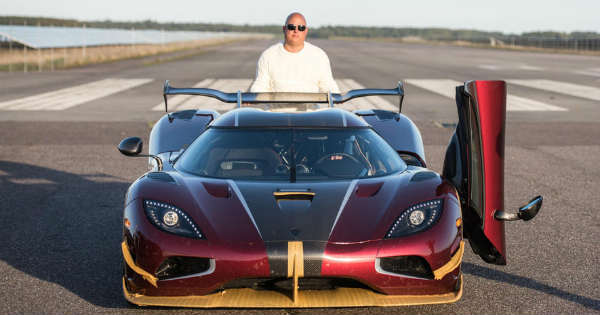 Koenigsegg Agera RS Breaks 0-400-0 km/h Record! BYE BYE BUGATTI! - Muscle Cars Zone! Car manufacturing and their technology is super advanced these days, hereby car manufacturers have the ability to create something new, something that is going to be a major breakthrough and better than the rivals. We have seen some utterly fast cars in the recent decade, moreover, we have seen some super fast classic muscle cars but in this video we take a look at a car that breaks all the laws of physics and takes the word “speed” to a whole new level. We are talking about the Koenigsegg Agera RS. This Swedish beast shows what it`s like to be the fastest car that was ever made, a car that broke all the records, records that will not be able to be beaten any time soon. On October 1st, 2017 Niklas Lilja got inside the mighty Koenigsegg Agera SS. What happens next is truly unbelievable. He puts on his safety equipment and takes off. Niklas sets a new speed record and went from 0 to 400 KMH, and back again to 0 KMH in just 36.44 seconds. There is a nice chart on the right of the screen which shows you the RPMs as well as the speed he drives and we get to see the exact moment when he reached 400 KMH. This record breaking run was made at an airfield in Vandel, Denmark. The Koenigsegg Agera RS surely set a new standard when it comes to speed and we cannot wait who is going to achieve the same any time soon!